Hello loves! I am away visiting family, so I apologize for only getting two posts up this week! I have the press release for the fall China Glaze collection in my mail box, so I'll try to get that up tomorrow to give you something else to look through. 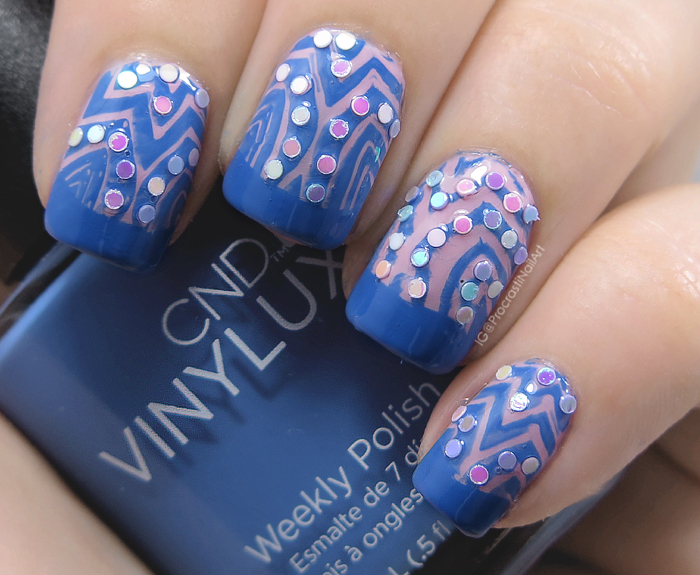 :) In the meantime, here's a nail art look I did last week that I wanted to share with you! I started off with a pale pink base (Ceramic Glaze Strawberries n' Milk) and then stamped on a design with CND Vinylux Date Night and MoYou London Kaleidoscope Collection 09. 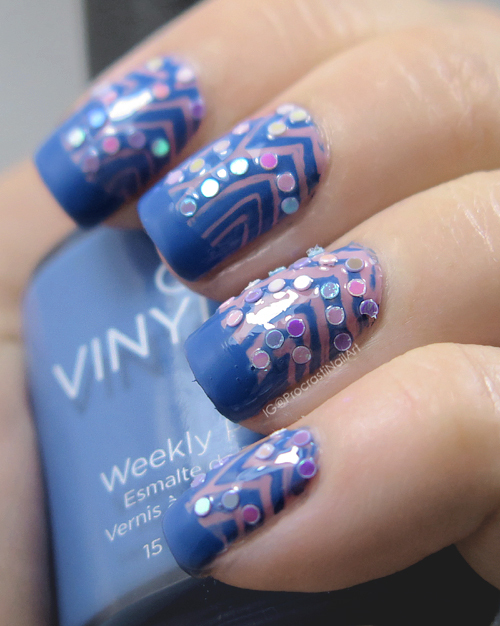 I tried to line up the design the same across all the nails, but my ring finger didn't want to play nice. 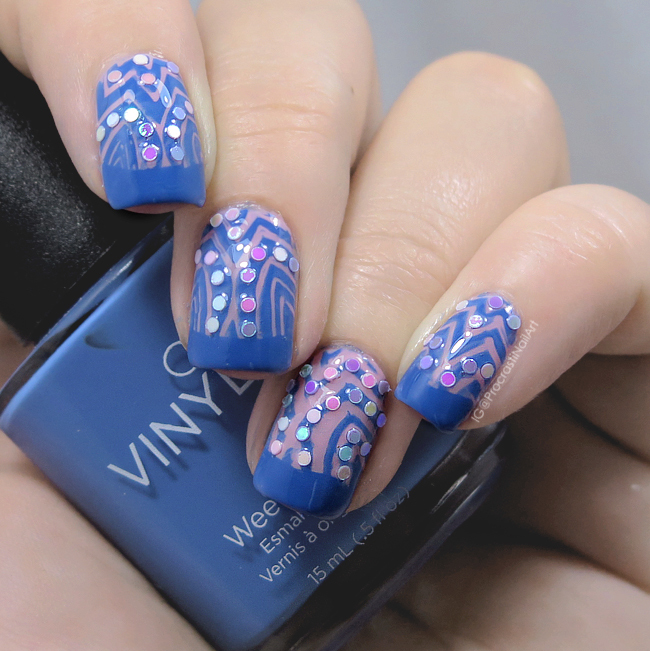 To tie all four nails together a bit more I added a French tip in the blue, and then stuck some pink-blue iridescent glitter along the design for a bit more visual interest. I think the colours that come through in the glitter work really well with the two polishes! Even with top coat the glitter stuck up a bit, so I really need to search harder when it comes to finding top coats that will really fill in those gaps and smooth things down. Let me know if you like adding placed glitter to a mani as much as I do, and let me know your favourite top coat for smoothing it all down! This is pretty. I like it a lot. I really like the addition of the glitters!